Summers New Albany Investment Auction (1 of 2) — Harritt Group, Inc.
Summers New Albany Investment Auction includes 1540 Chartres Street and 1132 Greenaway Place. Each auction will be held on their location, beginning at Greenaway Place @ 6PM. Excellent opportunity to own one or two investment properties located near New Albany High School between Vincennes Street and E. 8th Street just minutes to schools, shopping and downtown New Albany. Also selling 1540 Chartres Street @ 6:30PM. 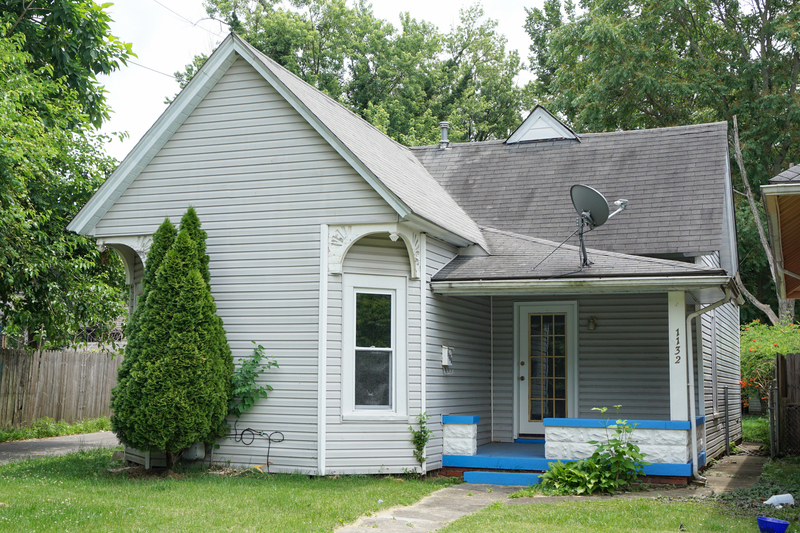 Charming 4 bedroom – 1 bath 1 1/2 story vinyl sided home built in 1929 located between Beeler Street & Ekin Avenue off E. 11th Street near New Albany High School. Home features 1030 square feet on the first floor and 120 square feet on the second floor, living room, eat in kitchen, replacement windows and covered front porch on a 33’ x 140’ lot. 10% Non-refundable down payment due day of auction, balance due in 40 days. Selling as is with no contingencies, all inspections welcomed prior to auction. Buyer to assume Fall Tax Installment due and payable Fall 2017. Possession immediate upon closing. East 8th Street or Vincennes Street to Beeler Street to right on East 11th Street to left on Greenaway Place. Auction on right.